I have so much to tell you guys! Our honeymoon was just the most fun and over the next few weeks I’ll be writing plenty of posts about Las Vegas and Hawaii – M truly outdid himself and arranged the most magical trip! But for now it’s all about getting back into the groove of posting, and that means it’s time for Monday Funday….the weekly collection of the things which have been distracting, delighting, or diverting me online. Videos, articles, gifs, blogs, op-eds….you name it, I’ll list it here. Allons-y! Some of these logos (like the amazon A to Z) I’d seen the hidden messages in before, but some of these were surprising! After three weeks away (and a very busy end-of-school-year month before that) our house is a bit of a state. So at the moment if I’m not working, cleaning, or tidying, I’m googling cleaning tips online like it’s my job! Our next big trip is likely to be to New York, and I’ve been loving browsing the website On The Set of New York….I can’t wait to seek out some of the filming spots from movies like When Harry Met Sally! Jet lag has hit me hard over the past few days, so Netflix has been a godsend. I’ve rewatched the whole of Unbreakable Kimmy Schmidt; such a funny show. Speaking of, this instagram from Tituss Burgess had me fangirling – super excited for season two from these megastars! Last night I rewatched 10 Things I Hate About You, which has long been a favourite. This compilation of best bits is awesome. Are there sheep? With my change in work I’m all about stretching those pennies, whether it’s for date night or just a get-together with friends. Love these budget friendly ideas! Gilmore Girls for life. I so want to start a club where we just watch the whole seven seasons. Imagine the snacks, the snark, the silliness! I adore this. A company that turns children’s artwork….into a stuffed toy. Magical. This is the next movie I must rewatch. Emma Stone on top, top form. Such a fun film. I remember when it was released about two cinemas in the whole of London were showing it, so Eileen and I went on a quest to get our teen movie fix! As unartistic as I can be (stick men, anyone? ), I do love excellent design. Some of these examples are brilliantly clever! So much to see online as ever. Have a wonderful week, all! I found that website and took my laptop through to my husband while chanting project, project…. Love a good film tour! 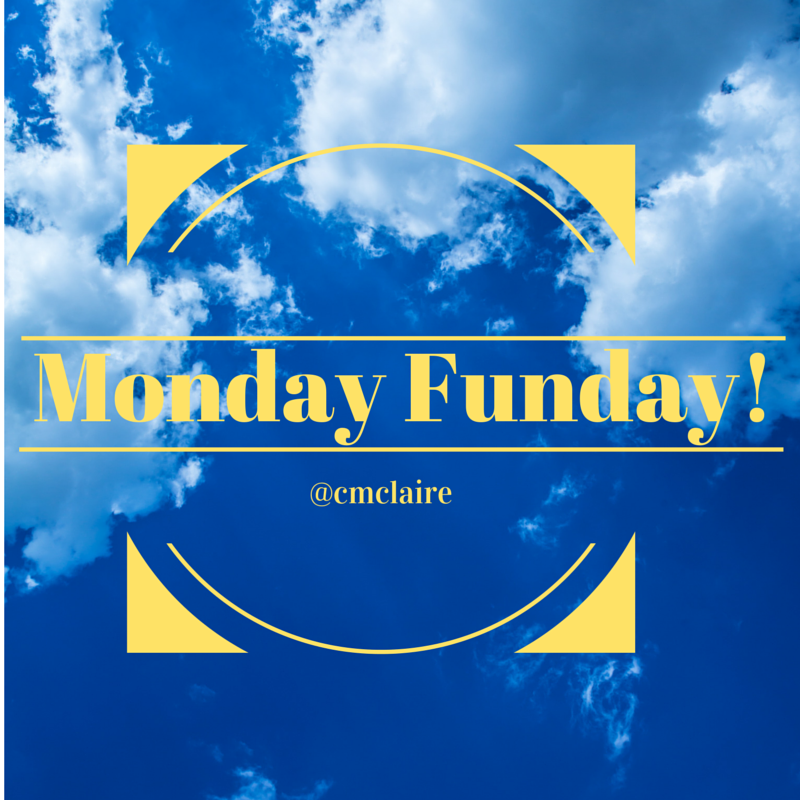 Is Monday Funday a thing you started on your own, or is it a linkup somewhere? I'd love to do the same thing and link to your blog if it's your own. I was actually thinking of making it a linkup – I'll add a linky next week and I'd love for you to join in!